SEO is one of the most powerful tools which a business can use to generate more traffic for their website. As the world becomes digital it is going to become increasingly important for businesses to have an online presence in order to cater to various customers. More and more businesses have understood the importance of SEO for their business and have taken the right decision of using local SEO solutions in order for their business to grow. There are many advantages of using local SEO solutions for a business. One of the main advantages is the expertise of the local SEO agency which has been operating in the region and understands all the dynamics at play. As a business, it is important to stay ahead of the game which is why it is vital for businesses to use local SEO solutions for their business. 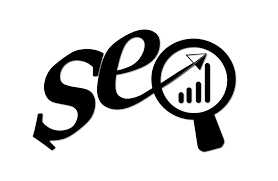 The local SEO Company will have an understanding of the market, industry and the customers and will help the business create a marketing strategy which effectively incorporates SEO in the strategy. If you want your business to thrive in the local business environment and to be best ranked in search engines for the location as well as for map then here is your complete guide for conducting local SEO. Local SEO is the optimization of all your online presence to allow your business to be found in the local searches. By following this guide, you will have an understanding of how a business can target customers online by ensuring that the business appears in the search when customers are searching for similar products or services in the locality. When one talks about local SEO what one is talking about are the type of searches which are actually localized. Through this guide you will get a better understanding of local SEO and how to conduct local SEO. It is however advised to hire the services of local SEO solutions for the best results. What Influences the Local SEO? Business signals are the one which strongly influence your rating and it is important to properly optimize the Google My Business Listing. On Page signals are important for your website as well as citation signals and reviews. They all help drive your search results upwards. Most people refer to this a blended algorithm because both the map results and the website’s ranking signals are merged. If you can’t see your ranking in maps then it could due to your website needing stronger signals. There are various factors which influence your local SEO ranking. In order for you to generate the maximum amount of traffic you need to ensure that your website has an organic listing. Here are some techniques you can improve your local SEO. Even though external links point towards your website, it is important to adjust the internal linking structure in order to boost your website’s SEO ranking. So why is internal linking important? It supports the website navigation. Assists in providing website hierarchy as well as information architecture. It helps distribute the page authority and the ranking power among different pages. Whenever a business website creates new content, it is important for the business to know that every blog post has a new page on your website. The new page will target a new geographic location and it provides the business with a new opportunity to increase the traffic and improve the search engine ranking. It is important to optimize the content for SEO every time you write new content for the website. It is important to use high volume keywords for the website and include them in the URL, header and title of the blog post, the Meta description and the body. One thing you must not forget is to always add location pages to your website. Create location pages for all the various location being catered. It helps provide customers with an easy access to their desired page. However, make sure to avoid duplicating any content across the multiple location pages or else it will only backfire. It is important for single location businesses to create their own locally descriptive page for the information page about the business. You will even get extra points for adding a Google Map to the website to show the business location. Google is becoming smarter and smarter and that means a business can truly write for its customers and not for the search engine. Even though writing about a specific thing could help drive traffic, it is still important to focus on the local market in order to attract the local customers. Think of all the things you can post about the local news such as about the local industry or more about the local business environment. A helpful local resource is bound to help drive local traffic to your website. More and more people are using mobile phones than ever before and that is why it is important for your website to be mobile friendly. People usually conduct local searches on their phones and that is why your business website has to be made in such a manner so as to be mobile friendly. Create content which is easy to access, read and is concise. It is important for the business to use traditional marketing techniques to allow the local audience to easily recognize the business when they see it on their searches. This will help improve your brand image and customers will be able to trust your business without even having bought anything from you. Conducting local SEO is vital for your business to grow and you can DIY SEO but it is better to use the services of a local SEO solutions company for the best results.